Mark of the warrior“Tattoos and other permanent forms of body modification have been paramount in establishing the status and reputation of warriors for hundreds, if not thousands, of years,” Lars Krutak, a tattoo anthropologist and the host of Discovery Channel’s Tattoo Hunter, told War is Boring. American inkThe first known professional tattoo artist in the United States was Martin Hildebrandt, a German who immigrated to Boston in 1842. He was the most sought-after body artist of the U.S. Civil War. He traveled across the Northand the South, tattooing countless soldiers on both sides of the conflict. Rough and toughThe next big boom for American tattoos was the U.S. entry into World War II. After the bombing of Pearl Harbor, young Americans flocked to enlistment offices. For many, the next stop was a tattoo parlor. 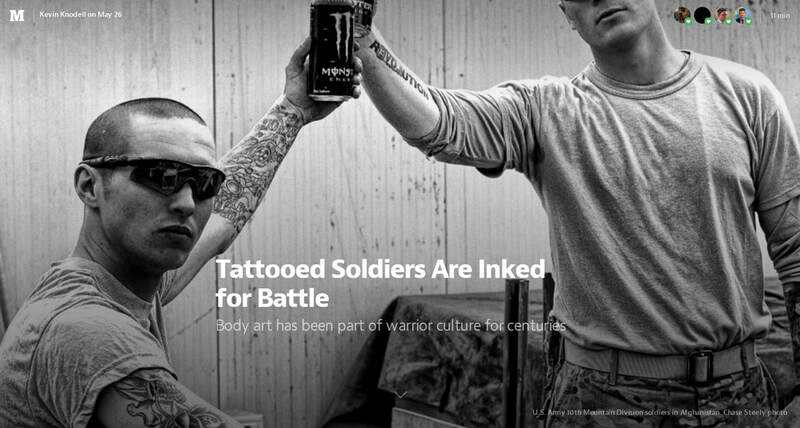 RestrictionsJust as society’s attitude toward tattoos has evolved, so have the military’s policies. In the 1990s there was a problem with troops getting extremist markings. Officers had to force their subordinate to strip so they could check them for banned ink. Sacred marks Nevertheless, tattoo culture has flourished in the ranks. Body art stood out in the work of the late Tim Hetherington, the photojournalist who teamed up with Sebastion Junger to film the award-winning documentary Restrepo--and who also published the photo book Infidel, named for a tattoo that was popular with soldiers serving in Iraq and Afghanistan. You can follow Kevin Knodell on Twitter at @KJKnodell. Sign up for a daily War is Boring email update here. Subscribe to WIB’s RSS feed here and follow the main page here. Soldiers in a rush before ink dries on tattoo rules An Army soldier walked into Brass Monkey Tattoo last month and told Dan Brewer, the tattoo artist, to go for it. “He dropped a thousand bucks,” Brewer said, standing in the shop here, about five minutes from the gate of Joint Base Lewis-McChord. Ten hours under the needle later, an ex-girlfriend’s name from a previous tattoo had been covered up, and a memorial to six buddies lost in the war in Afghanistan had been inked across the soldier’s back and ribs. 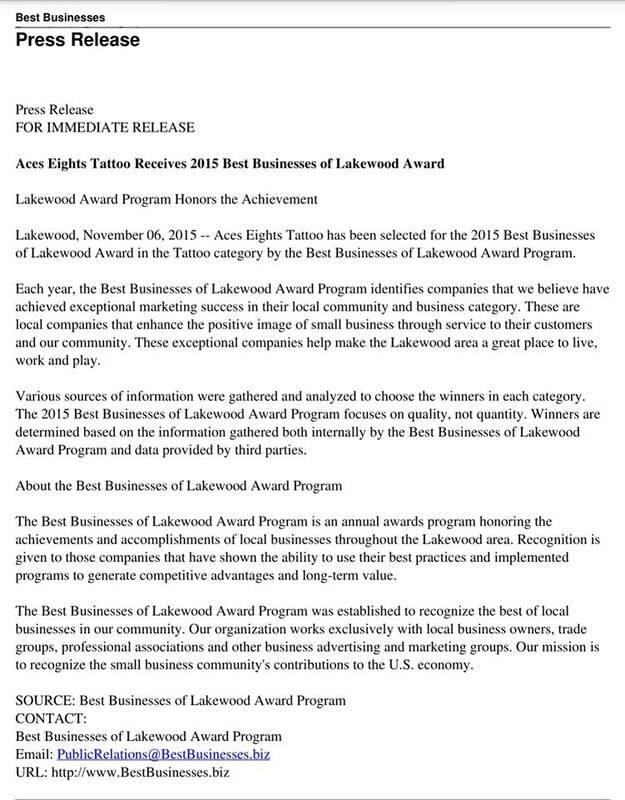 “It was a good day,” Brewer said. But now a tightening of the Army’s regulations on the wear and appearance of uniforms and insignia — issued on March 31 with a 30-day window of unit-by-unit enforcement — have driven a land rush here and at other Army posts to get "tatted," as soldiers call it, while the old rules still applied. About 40,000 active duty and reserve personnel are stationed at Lewis-McChord, about an hour south of Seattle, making it one of the United States military’s largest bases. “I’m just going to let her do it until I can’t take anymore,” said Spc. Charles Chandler, 22, an Army infantryman, as he pulled up his left sleeve to show the canvas he planned to present to his tattoo artist this week. Tattoo artists like Tyrell Barbour, at Stay Fresh Tattoos on Bridgeport Way, said they had never seen such fat times. "I’m getting hit like no tomorrow,” he said. “Especially younger military, but a lot of superiors, too," he added. 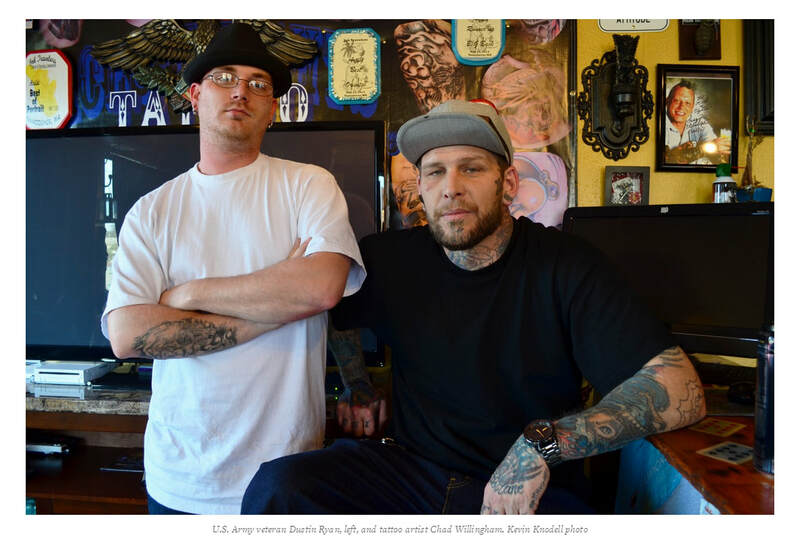 The tattoo economy on the edge of Lewis-McChord is bracing for change, too. Brewer at Brass Monkey, where about 80 percent of the business is military, said the shop’s owner was anticipating a big drop in customers after the regulations are fully in place, and is planning a move to Tacoma, about 10 miles north, to be nearer the city’s night life and bar scene. And Chandler, the infantryman who was planning out his arm art this week, said he was also studying the rules carefully as to what might push the boundaries of content and good taste. Regardless of the timing question on getting tattooed now, he said, he wants to re-enlist in a few years and does not want any overly racy skin art to hold him back.